Happy Construction Monday…..at Everett, all of our homes are built to the highest quality and provide healthier indoor air quality due to the high-efficiency furnaces, ducts, and tightly-built home envelope. This helps protect your home from the outside elements and prevents against mold, mildew, and dust from getting into the air of your home. Ever wonder what could be lurking in the air of your home? 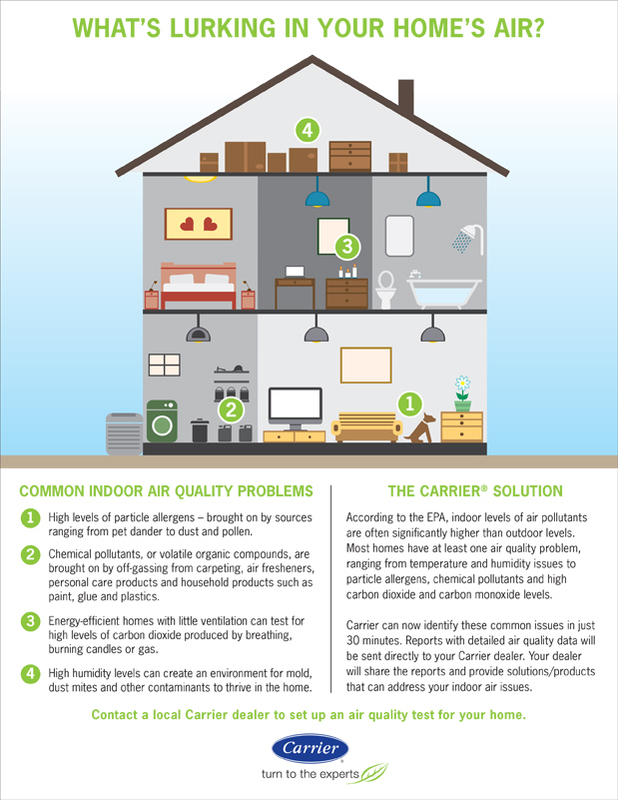 Take a look below at the common indoor air quality issues…. Everett also installs 95%+ high-efficiency furnaces, which means less energy is used to run the furnace and in turn, saves you money on your utility bills. Along with our high-efficiency furnace, we also include a fresh air intake system which consists of a pipe that is installed and connected to your HVAC system. This pipe brings in fresh air from outside and this air is then conditioned before being used in your home. By bringing fresh air into your home you can enjoy increased air quality and fresh, clean air to breathe. Because a home is sealed as tightly as possible, the fresh air intake is vital to keep your HVAC system supplied with well oxygenated, fresh air to improve comfort. There are a number of different factors in a home that can affect indoor air quality. A tightly-sealed home, high-efficiency furnace, properly-sealed ducts, and a fresh air intake system will be highly beneficial to maintaining a healthy indoor living space for you and your family. For further information on the HVAC systems we install in an Everett home, visit Carrier.